My mom died peacefully, but unexpectedly, at home in Washington, Vermont early yesterday morning. My mom and dad are inspirational role models. I am so blessed for the paths we’ve shared. My mother lived a life of service to others. 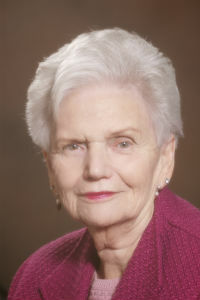 She was a tireless advocate for what she believed. My mom’s two most powerful traits are perseverance and loyalty. She always finished what she started, and once you were her friend, ally, respected colleague, or customer, she would defend you and promote you with every ounce of herself. It is a fun part of every day to aspire to be like her- and I am still working on it, feel free to join me. Milne Travel is an independent, family owned, travel management company. Originally founded by Marion Milne in Barre, Vt in 1975, we have continued to grow; out of more than 30,000 travel agencies nationwide, Milne Travel ranks among the top 100 in annual sales. As Marion originally established, we have a culture of caring here at Milne Travel. We care for our clients by providing them the best value and service. We care for our employees by providing them with an engaging, appreciative atmosphere. We care for our communities through our charitable contributions. 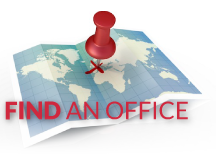 Milne Travel's roots are visible in our geographic footprint of storefronts. We operate storefronts in four states. We have nearly 100 employees, working in 10 states and 2 countries. Milne Travel is one of the top 2 agencies, based in Vermont and New Hampshire, in overall sales. 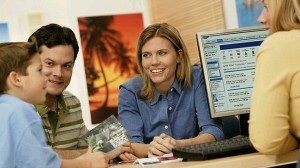 From the beginning, Milne Travel has worked with American Express to provide innovative products and superior services. We manage business travel expenditures more effectively for our clients while providing convenience and a sense of confidence to our travelers. Additionally, the tremendous buying power of American Express enables Milne Travel to provide special services and preferred hotel and car rental rates to our clients. Please fill out the information below to send us an email. We will get back with you as soon as possible. Thank you.